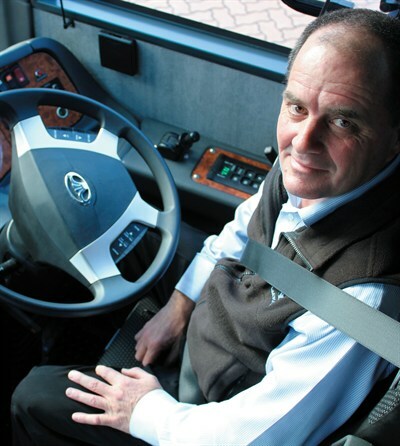 The latest addition to the Daewoo Bus Australia line-up has more than half a century of experience behind it, at both the Korean and Australian ends, writes Steve Skinner. Let’s face it; one doesn’t usually associate the name Daewoo with luxury coaches. Most people would think of budget cars first. Daewoo was a massive Korean conglomerate which went bust in 1999, and was subsequently broken up and sold off. The cars went to General Motors. Less well known is that Daewoo Bus Australia is owned by Korean baseball cap tycoon S H Baik — who also owns Clark Forklifts — and Daewoo engines ended up with Korean conglomerate Doosan. Despite this rather turbulent recent history, Daewoo Bus have been around for more than half a century and are exported to more than 50 countries. Doosan is more than a century old, and among other things, builds ship engines. 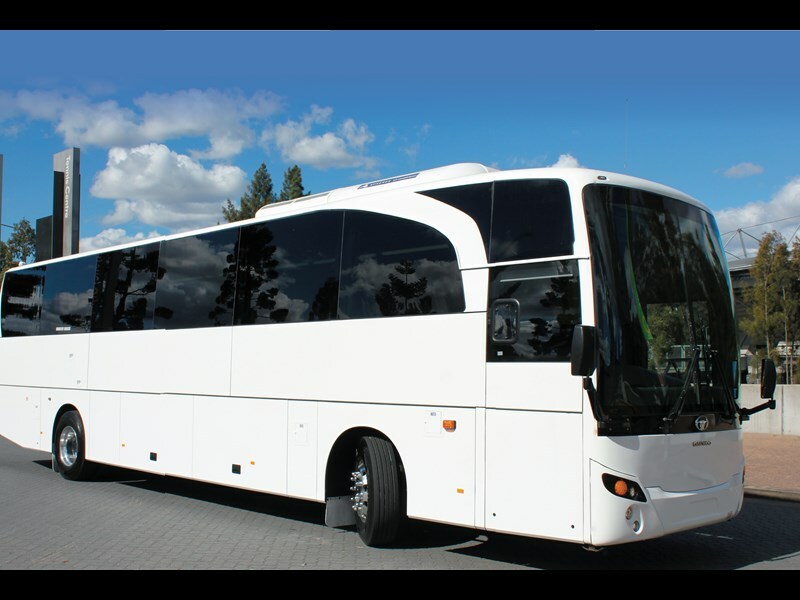 Further reassurance for prospective buyers is the Australian supplier of Daewoo chassis’, Asia Motors, has been involved in buses and coaches in Australia for almost 50 years, but more on that later. Last year, Asia Motors sold more than 100 Daewoos in Australia and expects to sell more this year. Most Daewoos in Australia have bodies built in Malaysia, by the Australian-owned Chiron. So far, Asia Motors has sold nearly 50 school buses to the South Australian Government in the past three years. And the company is bolstering the expertise of its network of service agents around the country by building a customised training facility at its Sydney headquarters. That’s enough history for the time being, so without further ado let’s introduce the Daewoo BH117L coach. 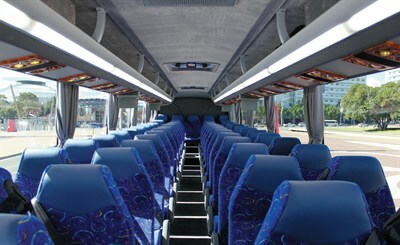 This is Daewoo Bus Australia’s first foray into coaches, having focused on school and mining buses to date. The impressive BH117L has a Daewoo chassis, a Doosan engine and the body was built in Malaysia in a joint venture between Gemilang and Queensland’s Northcoast Bus and Coach, with Australian engineering and predominantly Australian materials and componentry. 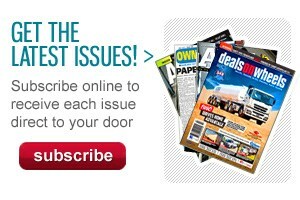 The combined package will set single buyers back about $350,000 plus GST. A key target market is the growing cruise ship industry, with passengers jumping off in Brisbane, Sydney and Melbourne to catch the local sights. Inbound air tourists, pensioners and school kids are the other expected day-charter passengers. The first thing one notices, inside the Daewoo coach, are the firm but comfy Styleride passenger seats with plenty of head rest, easy-wipe leather inserts at head level and enough leg room for a six-footer on the old scale. Both floor and ceiling are carpeted, as are the overhead luggage racks. The tinted windows are huge, providing excellent vision for the tourists this bus is designed for. 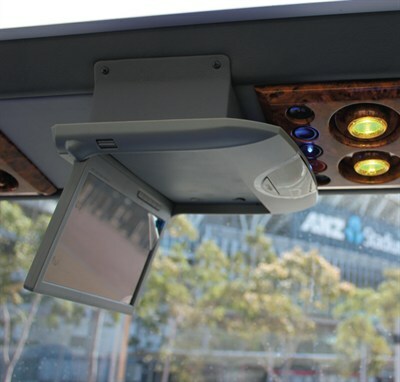 There is a large TV screen at the front and four smaller pop-down screens through the coach, with a windscreen camera enabling a birds-eye view of the front, if passengers want it. This 12m version has 57 non-reclining seats. Alternatively it could hold 53 reclining seats, or 53 fixed seats and a toilet, which is not deemed necessary for this day trip coach. An impressive safety feature is that extra room has been left between the seats at the recommended emergency exit point, on the left of the bus. There is also a hard-to-miss fasten seatbelts sign, which lights up before the bus takes off. An air suspended Isri driver’s seat with integrated seatbelt comes as standard on the Daewoo, and of course, it’s great. The six-speed Allison transmission moves smoothly through the gears, and the 335hp (250kW) Doosan donk gets up to speed at 100km/h with no problems at all. Once there, it sits on 1600rpm and doesn’t feel like it’s working hard. 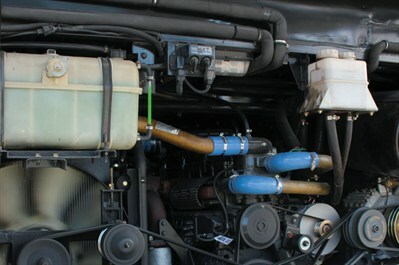 It’s interesting to note that the 7.6-litre Doosan displacement is well shy of the 8.9 litres in a Cummins, with comparable output. Daewoo Bus Australia says in eight years it has never had a Doosan engine problem that was the fault of the engine — which it points out is still a Daewoo, with its MAN technology heritage. 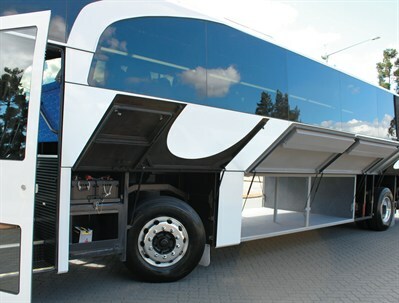 The coach’s turning circle is great, cornering is good, and the brakes — self-adjusting drum, with serviceability in mind — pull the coach up when they need to. Nevertheless, the six-stage air operated Allison retarder works so well you hardly need to use the service brakes. There is ABS of course, as well as ASR — anti slip regulation, for acceleration and cornering. Vision through the windows is good, and there is a reversing camera. However, the mirrors were a problem for this driver. The bottom left corner of both spotter mirrors was obstructed — which is an adjustment issue — but I found all the mirrors, simply too small. This coach is not unique in that respect and personally I would favour larger truck-style mirrors on any bus or coach. There was also too much play in the steering for my liking, which Daewoo co-driver for the afternoon — Sales Manager Paul Weber — assured was a pump adjustment issue. Other pre-delivery adjustment issues, already on Weber’s agenda, were wind noise through the door and the retarder being on ‘city’ rather than the less abrupt touring mode. What can only be adjusted in the factory, however, is the cruise control function. At present the driver has to lean forward and muck around with three different buttons on the dash. Daewoo says cruise control will be moving to the steering wheel. Another quibble — which also applies to other bus brands with Allison gearboxes — is that the little screen displaying the gear you are in is to the right side of the driver, near the pushbutton controls. That means it’s effectively useless, because it’s too distracting to look down to the right when you’re also supposed to be keeping an eye on the road ahead. The heavy duty Daewoo chassis is the same as for the school and mining buses, so you know it’s going to be sturdy and it rides on air bags all round. There is no independent front suspension, but Weber says that is coming soon for coach operators. The frame is galvanised steel tube with polymer coating. Body corrosion and structural warranties are both 10 years, with standard two years or 100,000km warranty for the chassis and transmission. The front and rear headers are fibreglass, as are the side panels — and in a ‘mechanic’s dream’ they flip up for ease of access to what lies behind. Also minimising tare weight, are the aluminium bin doors. Daewoo Bus Australia has been supplying full-size bus product to this country for the past eight years, but its pedigree goes back further than that. Co-owners of Asia Motors, Ian and Bruce Campbell, have been in the bus and coach game for a combined almost 100 years. Ian, a bus mechanic by trade, started his own business in 1962, and Bruce, an engineer, joined him about a decade later. The brothers built 250 of their own brand of bus and coach — the ‘IBC’, which stands for Ian and Bruce Campbell. They built their own chassis and slotted in Caterpillar engines, Allison transmissions, ZF power steering and Rockwell axles. Bruce Campbell explains how the Korean connection came about in replacing IBC. "When the Europeans started bringing the Volvos, the Scanias, the Mercedes bus chassis into Australia, it became very difficult to compete with them," Campbell says. "We started looking around for cheaper components to try and keep us in the game and we realised we weren’t going to be able to compete with these guys building our own chassis in Australia made up of bits and pieces that we imported. "We started importing some product from Korea … and it’s grown from there." That product included a minibus and the original Kia car franchise. At one stage the Campbells also designed buses, which were built in Korea and exported to America. Adding to the coach expertise of Daewoo Bus Australia is Sales Manager Weber, who was a tourist coach driver for a decade before spending five years in operations with Clipper Tours. Weber’s main advice for drivers of tourist coaches such as the Daewoo is "You’ve got to have a good sense of humour. "You will always meet one who is the cranky passenger, and I’ve had a number of those on board who are constantly nagging about what’s wrong with everything," Weber says. "So you’ve got to be able to get past all that and cheer them up. Don’t get cranky with them, because it doesn’t work." 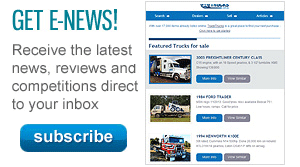 Find Daewoo trucks for sale.